Sitting still at your desk “absorbing” knowledge is passive. Often the only “active” part of a classroom is distracting siren call of smart phones, and watches. It might seem “wrong” (and even a bit odd) that gameplay is a solution that can make classrooms more active & reduce distractions. 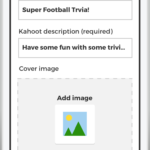 With 40 million monthly active users, Kahoot! (a learning company) is happy to be “in cahoots” with students and their teachers to change the way people learn. CUNY’s Distinguished Professor Cathy N Davidson (link) has often noted that our current educational system was created in the mid 1800’s to train the children of farmers to become efficient factory workers. Today’s work place is full of collaboration, and self directed learning in teams with various areas of domain expertise solving problems and creating processes that that span teams, departments, and even multiple businesses. Jamie spoke about a number of game elements that were built into Kahoot! to purposely and positively impact classroom dynamics. Jamie Brooker Founder and CCO of Kahoot! Learning is almost always more than a single lesson. Similarly, a properly deployed Kahoot! involves multiple games in the same day or over a number of days or weeks, etc. Kahoot! encourages students to “look up” — and while offering some light competition students are also encourages to speak with each other, and to even help each other. If you already have video lectures, short educational films, or just traditional blackboard lectures they can co-exist with Kahoot! Teachers know how hard it is to encourage and coach students so they can pull together a set of facts and personal insight while create an original narrative or research paper. Storytelling as found in game design naturally requires synthesis as “natural by-product” of game development. 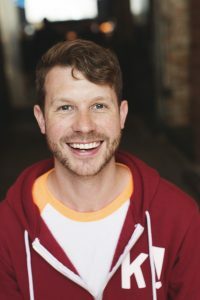 Please Listen: In this conversation with Jamie Brooker the Chief Creative Officer and Founder of Kahoot! as he explains how Kahoot! has grown to offer over 15 Million publicly accessible games and supports 40 Million active monthly users. 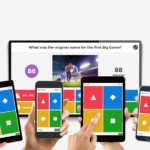 If you are a business or communications professional try using Kahoot!. Play a game of Kahoot! 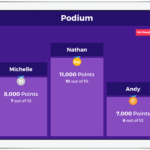 with any internal team meeting; if your mission is externally focused create Kahoot! games around critical topics.